Not even the bright lights of Tokyo and a solid internship in finance could keep Mike from his dreams of starting a business. After learning to code in our Web Development Immersive, he started Bookmarq, an app that allows you to find book recommendations from peers and thought leaders. Check out Mike’s app, Bookmarq. This entry was posted in Alumni Stories and tagged Bookmarq, career transition, finance, general assembly, los angeles, Santa Monica, startup, wdi, Web Development Immersive on June 5, 2015 by Adrian Bautista. Two years after completing her transition from Big 4 accountant to UX designer, GA alumni Anindita Saha is fully immersed in the wide world of UX and the Hong Kong tech and startup community. This entry was posted in Alumni Stories and tagged Anindita Saha, general assembly, hong kong, user experience design, UX on May 26, 2015 by Adrian Bautista. Photo by Myleen Hollero, freely licensed under CC-BY-SA-4.0. Kourosh has years of experience in business development for both media companies and startups. Before joining San Francisco’s Web Development Immersive, he worked for Tugboat Yards. Post-course, he launched a startup with a classmate and landed a new role as the VP of Strategic Partnerships at the Wikimedia Foundation. This entry was posted in Alumni Stories and tagged GA, general assembly, Kourosh Karimkhany, startup, Tally, The Wikimedia Foundation, wdi, Web Development Immersive on May 12, 2015 by Adrian Bautista. Salman came to General Assembly as an engineer looking for a tech community to jump into. He ended up as a beloved Back-End Web Development instructor, both in New York City and San Francisco. Realizing the importance of “soft skills” for developers, he started the Laugh & Learn newsletter to provide a well-rounded continued learning experience for his students and job-seeking techies. Salman will be teaching Building Startup Ideas at our San Francisco campus on Thursday 7, May, 2015. This entry was posted in Alumni Stories and tagged back-end web development, community, general assembly, Laugh & Learn, new york city, newsletter, san francisco, technology on May 6, 2015 by Adrian Bautista. This entry was posted in Alumni Stories and tagged alumni, general assembly, The Startup Magazine, Yoav Farbey on April 16, 2015 by Adrian Bautista. Visual-turned-UX designer, Diana, completed the UXDI program in Downtown Los Angeles. Post-course, she teamed up with peers a for the LA Codeathon. Together, they helped design a Jawbone-focused app that helps women get moving and stay moving. Currently, she is focusing on freelance UX and visual design projects in the Los Angeles area. Follow her on Twitter and view her portfolio. This entry was posted in Alumni Stories and tagged Codeathon, Diana Meehan, Downtown, general assembly, Jawbone, los angeles, UX/UI on April 10, 2015 by Adrian Bautista. 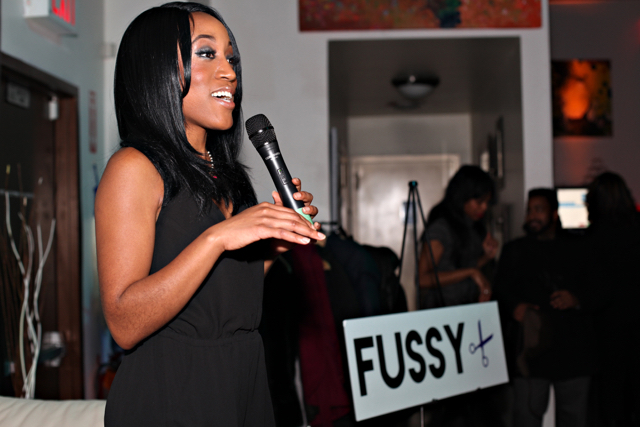 Patrice’s idea for starting Fussy, a social network for cosmetologists aiming to achieve their professional goals, stems back to her days as a teenager.A solo non-tech founder, she not only single-handedly manages her business, but she also built her website MVP while learning to code in GA’s Front End Web Development course. Follow her on Twitter: @SpeakPatrice. This entry was posted in Alumni Stories and tagged fewd, Front-End Web Development, Fussy, Fussy.me, general assembly, Hair, new york city, Patrice Peck on March 16, 2015 by Adrian Bautista.